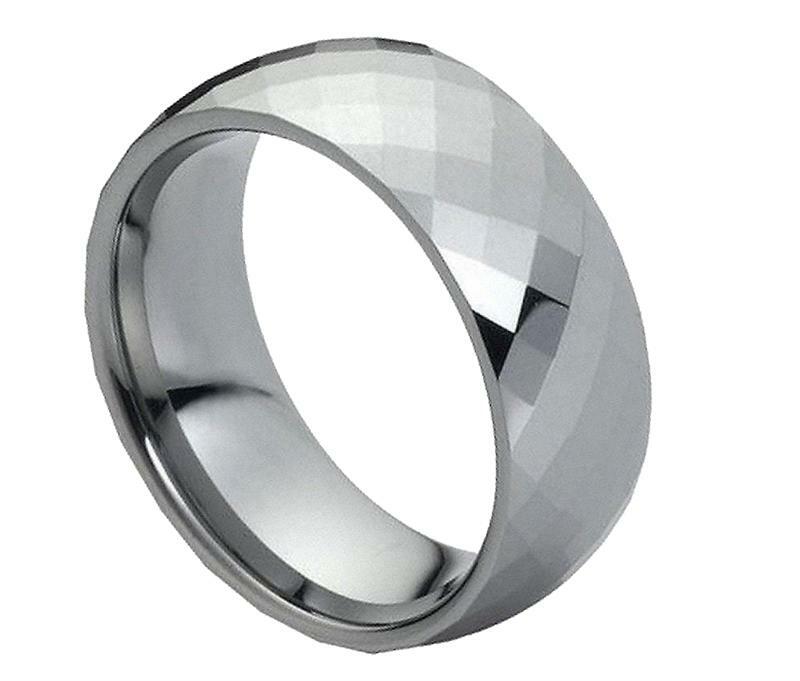 This Tungsten Ring is a "comfort fit" which means it is rounded on the inside. 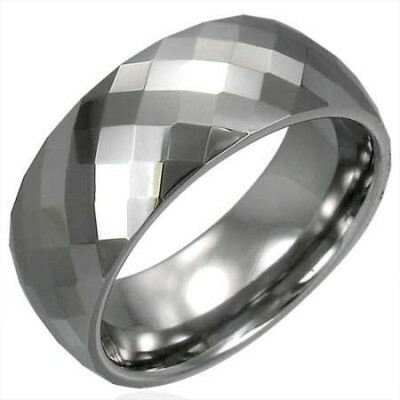 It has a beautiful faceted design that is very fashionable. Our Tungsten Wedding rings are made from the highest quality materials and will not scratch.